Over the past month or so, I've been revisiting older games whose time has long since passed. When I picked up Jak and Daxter and started playing through it, it brought me back to a time where when I was feeling down, feeling bored, or just have some time to kill, I could always turn to video games. When I wasn't at school, goofing off with my friends, or asleep, I'd lose myself in the worlds of games like Banjo Kazooie, Super Mario 64, and Legend of Zelda: Majora's Mask. As these fond memories float through my head, I can't help but think that the gaming industry needs to go back in time a bit and take a look at some of the games that defined what gaming was, and apparently Gears for Breakfast, a Danish game studio, feels the same way. Enter A Hat in Time, a game that is a “3D collect-a-thon platformer in the spirit of classic Nintendo 64 titles you know and love.” In an age of games that seem to praise hyper-realistic graphics and “mature” gameplay, A Hat in Time chooses to present itself in bright, colorful, cartoony graphics that seem to take a page from The Legend of Zelda: Windwaker. The gameplay, from what I've seen, provides the classic elements that many people love such as the infamous double jump and walljumping, and from what I've seen, it looks tight and responsive. The other thing I noticed from watching the footage was the music. The game's composer, Eric Gleiser, has done a fantastic job providing the soundscape for this game. What's even more impressive is Grant Kirkhope, the composer for Banjo Kazooie, is composing seven original tracks for the game. For those of you who've had the pleasure of playing Banjo Kazooie, you're probably as stoked as I am about hearing what he has in store for the game. 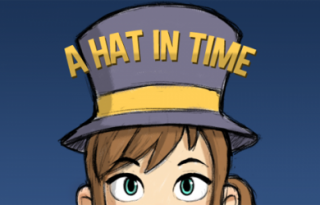 To wrap this up, I really think we can expect some great things from A Hat in Time. Gears for Breakfast has recently completed a successful kickstarter and raised $296,360, which is well over their $30,000 goal, which seems to promise good things about the games fate. For those of you that would like to learn more about the game, feel free to take a look at their Facebook page, and show your support by greenlighting the game on Steam. It will be available for PC and Mac. So, what do you guys think about this? Does A Hat in Time look like the kind of game that would interest you? Or will you look at it once and walk off with a second glance? Share your opinion below.